You are here: Home › Living Sober! › Relationships › Want a better, happier life? Be thankful! Want a better, happier life? Be thankful! Being thankful is an important part of a happy and fulfilling life. When we take just a few minutes out of a day to appreciate what we have going for us — whether it’s tangible, such as parents who love us or the paychecks we receive, or intangible, like the feeling we get from a beautiful sunset — we really can improve our health. Gratitude is consistently linked with feeling more positive emotions, savoring positive experiences, having better health, dealing effectively with adversity, and building strong relationships. Research shows people who kept a “gratitude journal” were more optimistic, exercised more, and had fewer doctor visits than those who focused on things that displeased them. Individuals who wrote a letter of gratitude to a person who had benefited them, but whom they had not thanked, and delivered it, were happier and less depressed afterward. Grateful people, including war veterans, report fewer PTSD symptoms following trauma than less grateful people. Gratitude even impacts memory. Grateful people recollect more pleasant events than their less grateful counterparts. Gratitude enhances positive emotions by focusing on the enjoyment of benefits. It directs one’s focus to the good things one has and away from things lacking, thus preventing the negative emotions associated with social comparison and envy. Gratitude promotes prosocial behavior, positive social relationships and trust. It leads to adaptive coping strategies by making sense of stressful events. Gratitude increases the accessibility to positive memories, which in turn, supports one’s well-being. Grateful people are more likely to seek less and appreciate and care for what they have. For anyone looking for those research citations, see Seligman (2002), Authentic Happiness; Emmons & McCullough, The Psychology of Gratitude (2004). 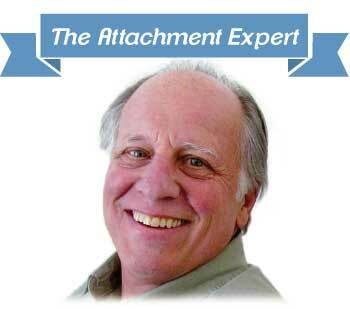 Dr. Terry Levy has been a psychotherapist, trainer, supervisor and consultant for more than 40 years. He is a licensed clinical psychologist in Colorado and Florida, a board-certified forensic examiner and a diplomate and master therapist of the American Psychotherapy Association. Dr. Levy is also co-author of the best-selling book, “Attachment, Trauma & Healing” (1998, Child Welfare League of America); editor of “Handbook of Attachment Interventions” (2000, Elsevier Press) and co-author of “Healing Parents: Helping Wounded Children Learn to Trust and Love” (2006, Child Welfare League of America). You can find him online at Evergreen Psychotherapy Institute in Evergreen, Colorado — and he welcomes hearing from you. Want a more satisfying life? Seek close relationships.